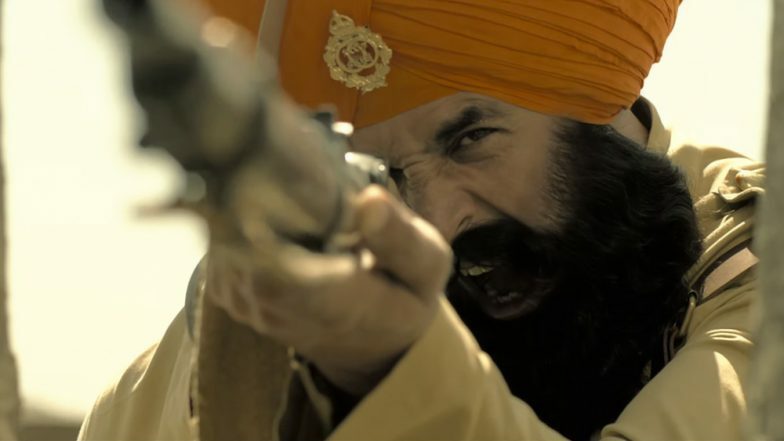 The film, which also stars Parineeti Chopra, features Kumar as the leader of the Sikh regiment, Havildar Ishar Singh. And guess what, the Padman actor shared second glimpse of Kesari on his Twitter handle. Along with the poster, he wrote, "Unraveling the pages of history to the bravest battle ever fought". The 2.0 actor also added that also added that he would be sharing "glimpses of Kesari" from Tuesday onwards, so be prepared for an eye-treat. The poster us a glimpse into the mind of the brave-heart who was sent into the battlefield by Britishers with just 20 soldiers. Akshay Kumar is back again to snip the versatility crown! The period drama is based on the 1897 Battle of Saragarhi in which an army of 21 Sikhs fought against a troop of 10,000 Afghan invaders. Directed by Anurag Singh, the trailer of "Kesari" is all set to release on February 21 and before its release, the makers today released a series of hair-raising teasers of the movie. Soon after its release, the post of Khiladi Kumar started getting a lot of positive replies for the first synopsis of Kesari.